This coming Sunday, November 20, the JCC in Manhattan* and the Carlebach Shul are hosting a morning of learning and breakfast. I’ll be speaking about the essential message of G-d consciousness that the Baal Shem Tov imparted to each Jewish individual and how developing our awareness of the Divine in our lives can sweeten the bitter challenges we all go through. 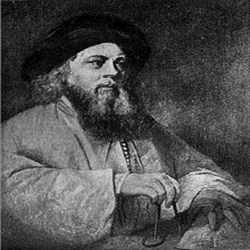 The teachings of the Baal Shem Tov served to inspire the creation of the Hasidic movement and ignite a vibrant renewal of Jewish life. How do his teachings continue to impact Jewish spirituality today? Join renowned teachers, Nehemia Polen, Yitzhak Buxbaum and Chaya Rivka Zwolinski, for this dynamic morning of learning. Register at the JCC online. Or call 646.505.5708 to register. *This event is mixed seating. For questions, contact me via the comments section, below.